Medical Examiners are to be introduced at Castle Hill Hospital to provide enhanced scrutiny of deaths. Hull University Teaching Hospitals NHS Trust will introduce the new role as a pilot scheme in May before the new system is rolled out to Hull Royal Infirmary by April next year. Independent Medical Examiners are part of the Government’s response to public inquiries into serial killer Dr Harold Shipman, the Francis Inquiry into Mid Staffordshire NHS Foundation Trust and deaths of patients at Southern Health NHS Foundation Trust. Dr Makani Purva, Interim Chief Medical Officer at Hull University Teaching Hospitals NHS Trust, said: “When a patient dies in hospital, we want to be able to identify patterns, areas of concern or potential for learning to ensure people always receive the best possible care. “Introducing Medical Examiners will mean all deaths, first in Castle Hill and then in Hull Royal, will be scrutinised, allowing improvements in the system of death certification by reducing delays and increasing accuracy. Harold Shipman, a GP working in Hyde, Greater Manchester, was convicted of murdering 15 patients in 2000 and was serving a life sentence when he killed himself in his cell at Wakefield Prison. A subsequent inquiry, lasting two years, estimated the final number of his victims at 250. Shipman was able to become one of the world’s most prolific serial killers in part because he was filling in death certificates for his own victims without any additional scrutiny so no one had an overview of the high death rate among his patients. 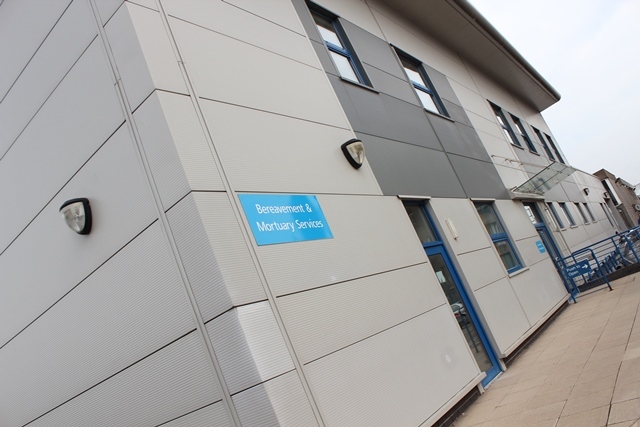 Inquiries into patient deaths at Mid Staffordshire and Southern Health NHS Foundation Trusts also highlighted problems with the death certification process which meant concerns over some deaths were not being raised. The Medical Examiners at Castle Hill will be part of a national network and their role will be independent, enabling them to scrutinise deaths because they will not have been involved with the patient or their care before their deaths. They will scrutinise all deaths by reviewing patient notes and discussing the case with a doctor involved in the patient’s care and supporting junior doctors to fill out death certificates correctly. As a final layer of scrutiny, each case will be discussed with a relative or friend of the deceased to see if there are other issues they wish to raise about the patient’s care. In hospitals already trialling a Medical Examiner system, the Medical Examiner often fed back compliments on good care from the relative or friend rather than anything negative. Dr Kate Adams, Associate Chief Medical Officer for Mortality and Morbidity at the trust, outlined the plan at the trust board meeting this month. She said the certification of deaths has not changed for 50 years and the current system is not really fit for purpose given the complexity of many of our patients. “The problem of lack of scrutiny of death certificates was brought out in many reports into medically related deaths including the Shipman and Francis inquiries. “A lot of death certificates are inaccurate or, frankly, wrong and, unfortunately, don’t reflect how the patient died. “The Medical Examiner system will be a change in culture for the doctors and a change in the way of thinking.